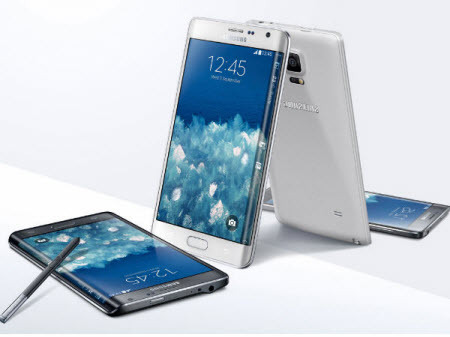 Watch Free Full Movie on Galaxy S6 or Play DVD Movie on Galaxy S6: Both Awesome! Samsung Galaxy S6, the next generation in the Galaxy series, comes to us with a 5.1-inch display resolution up to 1440 x 2560 pixels (~577 ppi pixel density), a great improvement from its predecessor Galaxy S5. Moreover, it gets a big boost in its CPU and processor, armed with Quad-core 1.5 GHz Cortex-A53 & Quad-core 2.1 GHz Cortex-A57 and the advanced Android 5.0.2 (Lollipop). There are also some other enhancements including design, camera, internal memory, battery life, etc. All in all, this flagship product from Samsung will make you wow and bring you with a better multimedia experience. Arouse your interest to purchase Galaxy S6? If so, you can seize time to have an order on Galaxy S6 on Amazon right now. And when you get this fantastic smart phone in hand, you can do whatever you want, see watching movies on the big yet ultra-clear screen sounds not bad. But can Galaxy S6 play any movie thereon? Not really. So that's why this article shows up. Here shows you how to watch free full movie and play DVD movie on Galaxy S6 with highest possible of ease. There is no gainsaying that YouTube is the biggest video sharing site to provide you with a truckload of video resources, not only videos, MV, but also free HD movies. Pretty sure, you can watch free HD YouTube movies on Galaxy S6 online via YouTube app without downloading. Chances are that you would be constantly bothered by the annoying ads, movie buffering, freezing, etc. Thus, it's advisable for you to download free HD movies from YouTube so as to watch YouTube free movie on Galaxy S6, and S9/S8 with nary a trouble. If you decide to download YouTube free movies with 1080P or 4K UHD, the world-renowned MacX Video Converter Pro can assist you to download any free film (1080P, 4K/8K UHD) from YouTube with purely mins and original quality. Plus, it can also help you convert YouTube movie to Galaxy S6 compatible video format to guarantee your smooth playback. >>>Click to see YouTube movie to Galaxy series download and conversion tutorial. 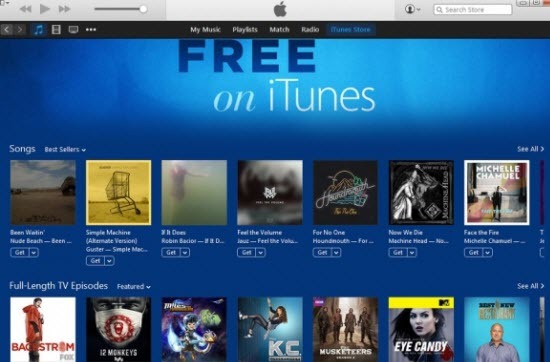 Google "How to make free iTunes movie downloads to Apple iPhone iPad? ", there would be a huge number of answers and guides for you. But when it comes to download free iTunes movie to Android Samsung Galaxy S6, sad to say, today is not your lucky day. It's quite hard to dig out the useful way. Now the situation is reversed. Instead of serving for Apple users, I'd like to do the favor for your Android Samsung fans, with the easiest method presented for you. As is known to all, it is the Fairplay DRM in the free iTunes movies that protects them being copied and transferred to non-Apple devices. Therefore, to watch free iTunes movies on Galaxy S6, the non-Apple device, removing DRM from free iTunes movie is priority among priorities. To get rid of iTunes free movie DRM, what you need most is a professional yet solid iTunes DVD ripping software, no need to look around, the aforementioned MacX Video Converter Pro cuts the buck. It supports you to record every DRM-protected free movies and TV shows from Apple store. Better still, this high-end DRM removal program helps to legally remove iTunes DRM on Mac and convert the iTunes movies in M4V to unprotected format like MP4, AVI, FLV, MOV, WMV, etc with world's fastest speed and 98% quality reserved. It's the common case that you fail to find and download the latest Hollywood or Bollywood movies on YouTube or iTunes. In such case, another way appearing on your radar to watch the latest blockbusters goes to the movie torrent downloading sites, for they are always filled to the brim with countless movie torrent resources, even the currently on-display movies included. 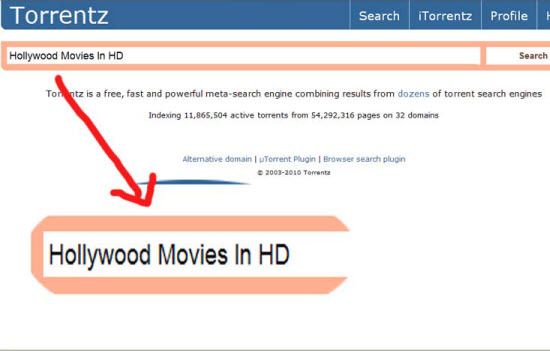 And the most widely used movie torrent sites are The Pirate Bay, Kickasstorrents, Torrentz, YTS, Limetorrents, etc., on which you can download Hollywood movie torrent or Bollywood full movie with 1080P/720P high quality. But the problem is when you embark on playing the downloaded torrent movie on Galaxy S6, generally you will encounter failure since the downloaded movies from torrent sites are formatted with HD video format like MKV, MTS, etc, which are unfriendly with your Samsung Galaxy S6. No biggie! The incomparable MacX Video Converter Pro can liberate you from the predicament. It aids you to convert the downloaded movie torrent to MP4, H.264, 3GP,etc formats so as to playback on Galaxy S6 without any quality loss. It's true that downloading and watching movie torrents on Galaxy S6 benefit you a lot, but the corresponding negative sides you ought not to ignore. See, the first one is the movie torrent resource, which are usually related to the copyright infringement. Secondly, the movie torrent downloading sites are regarded as the major route to spread the malware, adware and even virus. In consequence, it’s quite dangerous for you to use torrent sites to download full movie. Last but not least, the movie torrent sites are responsible for large bandwidth usage, for they are the bloodsuckers to network traffic. From the above, it's inadvisable to watch free full movie on Samsung Galaxy S6 via movie torrent downloading. In case you are a DVD movie buff who collect a vast variety of DVD discs and are itching to copy DVD movie to Galaxy S6 for on-the-go playback or DVD backup, then you can resort to the award-winning MacX DVD Ripper Pro, which can hassle-free remove any copyright protection tech, irrespective of CSS, Region Code, UOPs, RCE, or Sony ARccOS, Disney X-project protection, and 1:1 copy DVD movie to Galaxy S6/S7/S8/S9 with 36X faster speed and zero quality loss due to its inherent hyper-threading tech, multi-core CPU use and High Quality Engine supports. Another thing this best-ever DVD ripper does well in is that it also rips DVD movie to your Apple iPhone X/8/7/6S/6S Plus, iPad mini 4/Air 2, iPad Pro, Surface Pro 4, HTC M10, Sony Xperia Z5, PS4, Xbox One, etc. with 350+ profiles provided. How to Rip and Copy DVD Movie to Samsung Galaxy S6 for Free Playback? Step 1: Free download and launch the DVD ripper for Galaxy S6 on Mac. Click "DVD Disc" to load DVD movie content. Step 2: Choose Output Video Format for your Samsung Galaxy S6 in Output Profile Category. Hit Android Mobile > to Samsung Mobile Video > Samsung Galaxy S6 > Press Done. Note: You are also allowed to clone DVD movie to ISO image, copy DVD movie with main title or backup DVD movie to MKV file. It leaves the option on you. Step 3: Press "Browse" button to pick a destination folder to store your output DVD movies. Step 4: Click "RUN" button to start ripping DVD movie to Galaxy S6.